We look forward to hearing from you. 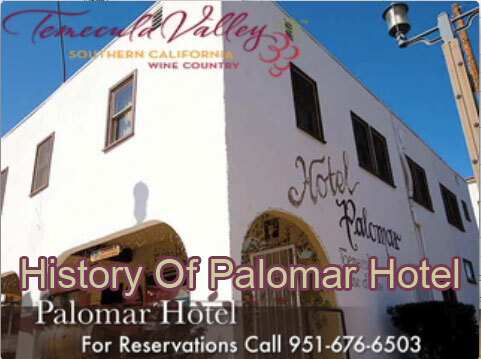 At the Palomar Inn Hotel, we’re ready to make your stay a wonderful experience. To make reservations, please call us. Once here, we can help you get the most of your stay in the Temecula Valley. And since you’ll be staying in the heart of historic Old Town Temecula, you’ll have plenty of activities just a few steps away. If you’d like to send us a message, you may use the form to the right. We’ll get back to you as soon as possible.